dwell in the smell of sourdough…. 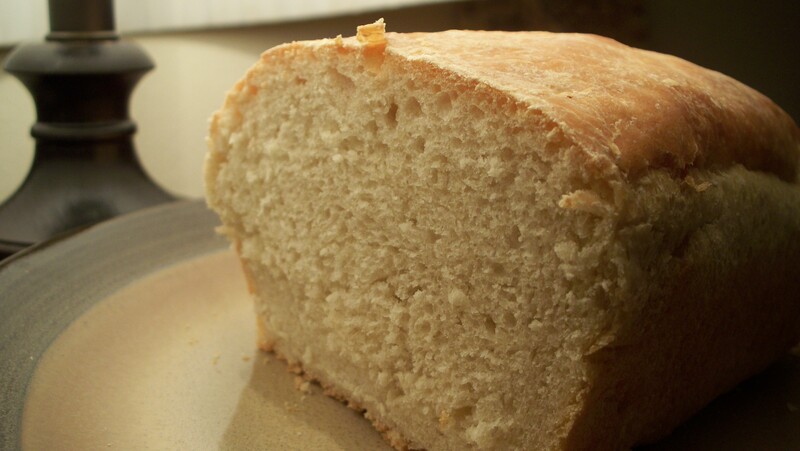 With all my anticipation and positive energy that I have accumulated, I am jumping into this task after a long-line of utter failures to bake a simple home made bread, does not matter whether it was a quick-bread or an yeast-bread (a bit more work)…. I just could not make one that is edible. With lot of blog-reading about breads and baking , now I can make a simple sourdough bread fresh from scratch with my 10 fingers. 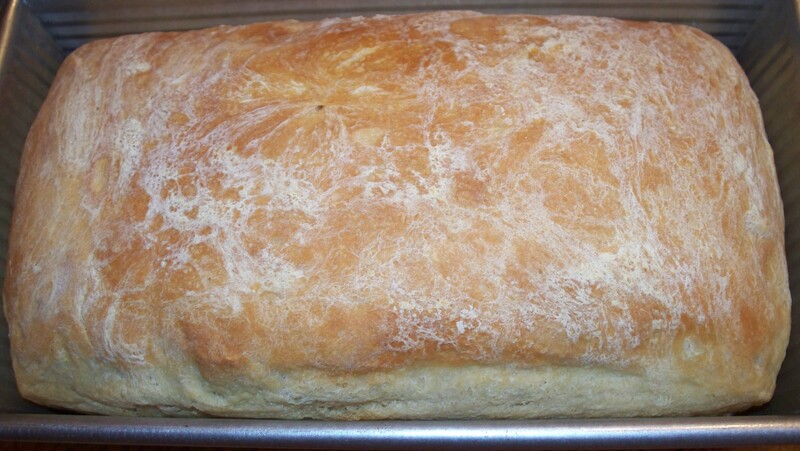 After this loaf, I instantly knew that I am going to baking this bread at least once a week, before I advance on to the sophisticated/divine-looking variations of breads and rolls. Here are the two steps to make a sour-dough bread: 1) Make the sourdough starter 2) Make the bread itself Time taken from ‘Start to Finish’: 28 hours How to make a sour-dough starter: In a wide plastic container/ glass jar, mix 1 cup of AP/ whole wheat or bread flour with 1 cup of water + 1 tsp of sugar + 1/2 tsp of yeast. Close it with a lid with a small opening for the starter to breathe and let it sit in a warm place for a day. 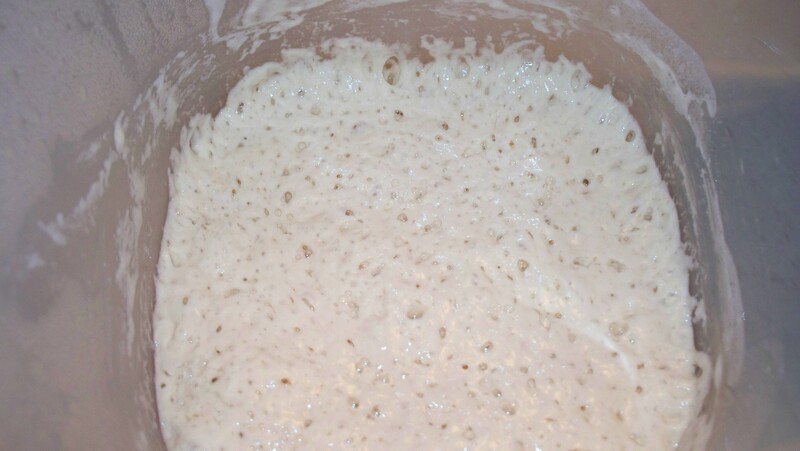 After 24 hours, your starter will produce a ***berry sweet smell which means it is ready to use. The quantity of the starter that you will get from the above measurements will be approximately 1.5 cups, which is just enough for baking 1 loaf of bread in a 9×5 loaf-pan. 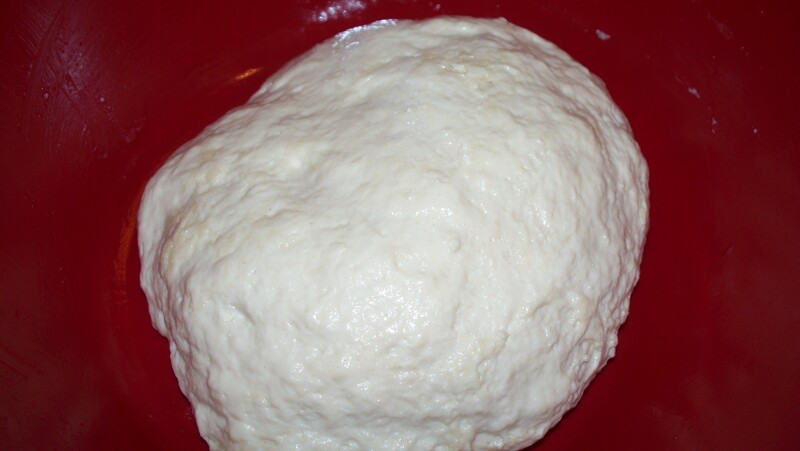 How to use the starter: Either you can use up all the starter in your bread or save a batch of it and keep feeding it or refrigerate it for later use. There are several site that has detailed instructions on feeding/growing and preserving the starter. I am not planning to go over it. Tools Used: Bread Pan: I recently bought a new USA Pan 9*5 bread pan. Its strong and well built and this is my first bread in my new pan. I am V e r y V e r y proud of it.